What you know about the title to this post???? Since my last post, I’ve been very busy. For the first time in a while, I’ve been making good progress on my academic scholarship. Looking forward to getting a couple of things out there real soon. Also, my classes have started to take a really good turn and I’m excited about their potential. Okay, now to a short yet important post. This past weekend, aside from battling a cold, I got a chance to go check out the African American Day Parade. There were so many beautiful Black folks out in Harlem it was site to behold. I was only at the Parade for a short time, but it was great to see Red Black and Green flying everywhere. 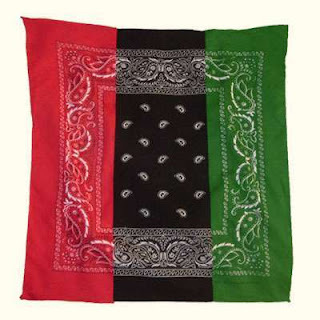 While I was excited to see the UNIA flag, I was quickly brought back to reality by the sight of a brotha with the flag in one hand and a handful of passing strangers buttocks in the other. Can we truly be thinking about Black Liberation if we continue to oppress and degrade women? As we as people strive for greater power, a greater community, we as Black men, must interrogate our position in society. Recently brother Jewel Woods put out a Black Male Privileges Checklist. What do you find yourself answering yes to? Do you think as a Black man in America you have privilege? What are you willing to do to change your privilege? On a separate but related note, when traveling home post parade and post movie, I saw cops everywhere in Harlem. This may be some of the explanation.